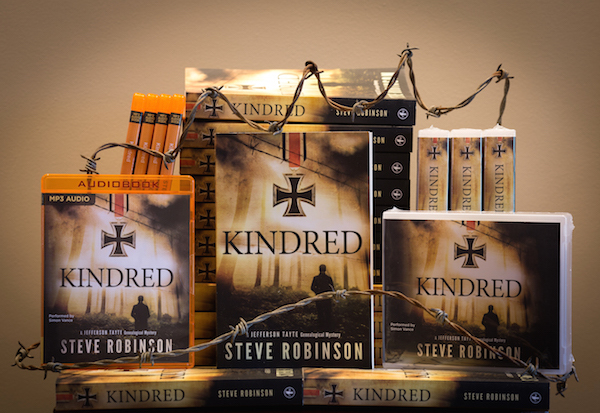 Steve Robinson - Author: KINDRED - OUT NOW! 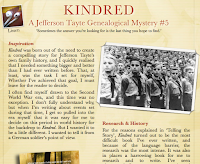 KINDRED - the fifth Jefferson Tayte Genealogical Mystery is out now! 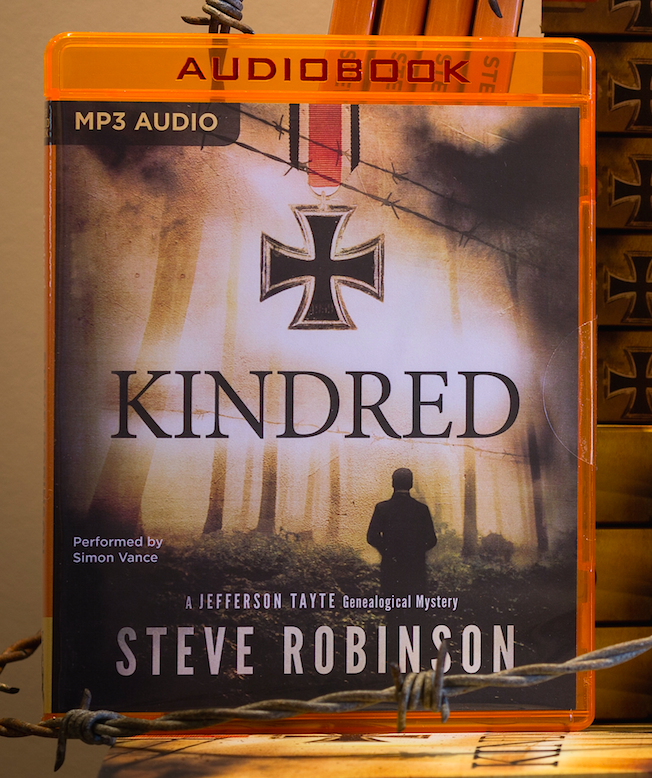 It's publication day and my new Jefferson Tayte mystery is out! If you're following the series, or want to start, I sincerely hope you enjoy it. The reviews from advance copy readers so far have been excellent with comments like this one from Cleopatra Loves Books: 'I don’t know if I have the right words to convey just how exceptional this book is; the storytelling was perfect ... An absolutely wonderful story.' You can read the full review HERE. The most difficult book I've ever written. 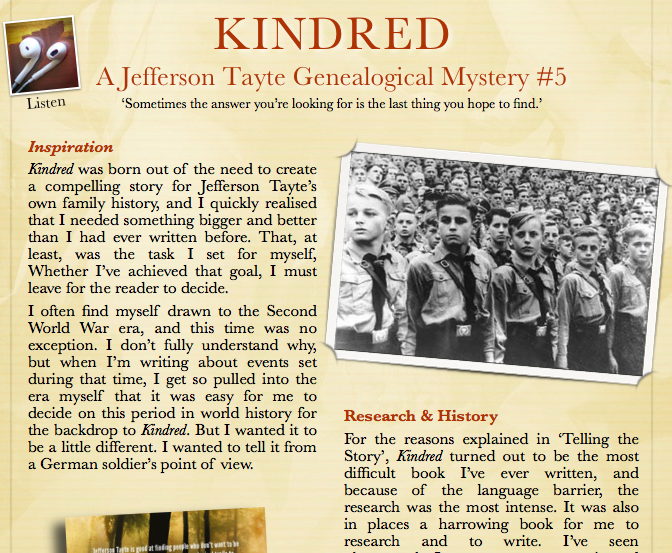 If you would like to read about the inspiration and the challenges I faced while writing Kindred, I've added a detail page to my website, which gives some insight into why this book was so difficult for me to write. 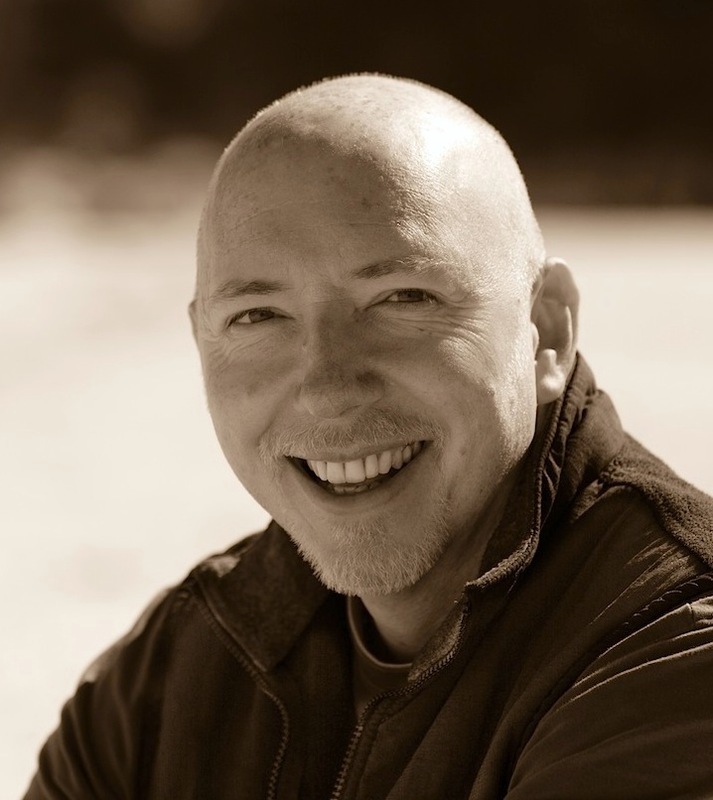 Follow this LINK to my website to read more. 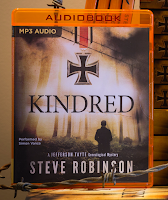 If you'd like to hear Simon Vance's performance of Kindred you can listen to a sample on my website, or by clicking the link on my blog sidebar to the right. Telling Jefferson Tayte's own family history story has been a marvellous journey, often dark, but always fascinating. I very much hope you enjoy reading it.